The Future Has Arrived. The stoves of tomorrow are available today. SIA Ecodesign Ready stoves are designed to reduce PM emissions by burning wood more efficiently and completely. Are designed to reduce PM emissions by burning wood more efficiently and completely. The stoves have been independently tested by an approved test laboratory and met the emissions and minimum efficiency criteria for Ecodesign. The test results have also been verified by HETAS and listed on the HETAS web site. (Click the SIA Logo above to see the verified list of SIA Ecodesign Ready stoves on the Hetas web site. Ecodesign is the European-wide programme to lower emissions. It is due to come into force for stoves in the UK in 2022. SIA Ecodesign Ready stoves will meet the Ecodesign requirements and are available now. 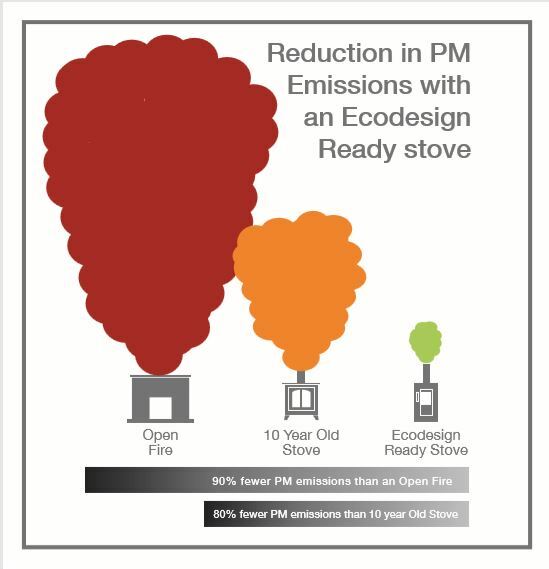 The PM emissions limit for Ecodesign is 55% lower than for DEFRA exempt stoves. Are backing the Installation of SIA EcoDesign ready stoves to reduce emissions from wood burning. 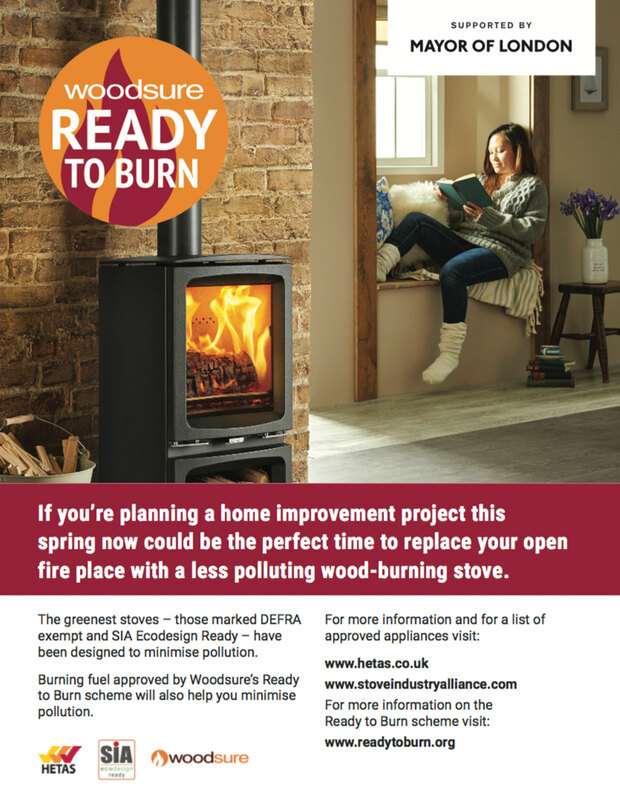 In its Clean Air Strategy Defra recognises that all wood burning is not the same and that reductions in particulate emissions, (PM), can be achieved through the installation of Ecodesign Ready stoves burning Ready to Burn logs. 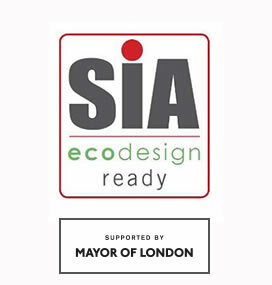 The Mayor of London showed his support for Ecodesign Ready stoves by sponsoring two adverts in the Evening Standard encouraging Londoners to only burn dry wood and choose a Defra exempt stove which is also Ecodesign Ready.